Four Seasons Resort and Residences Whistler is thrilled to partner with Bici Gusti to offer Whistler’s third annual gourmet ride. Presented by Jaguar-Land Rover, Bici Gusti invites guests to follow their senses through a family-friendly long weekend where gourmet feasts, adventurous cycling, luxury and fun await. 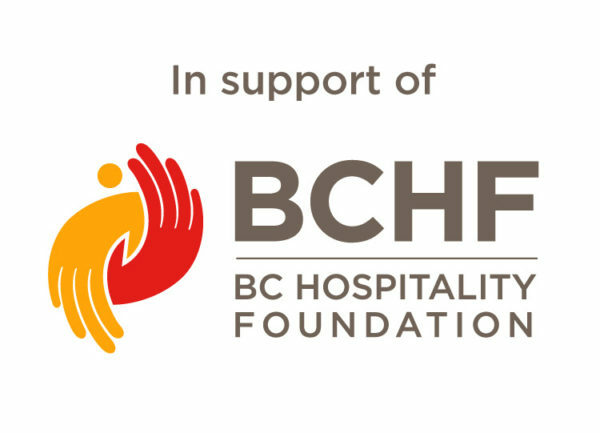 Set for May 18 to 20, the feel-good ride features a 70km ride through the Whistler and Callaghan Valleys, delicious cuisine sourced within 70km of Whistler with a wealth of like-minded guests. The self-paced ride invites riders of all levels to enjoy themselves at their own speed. 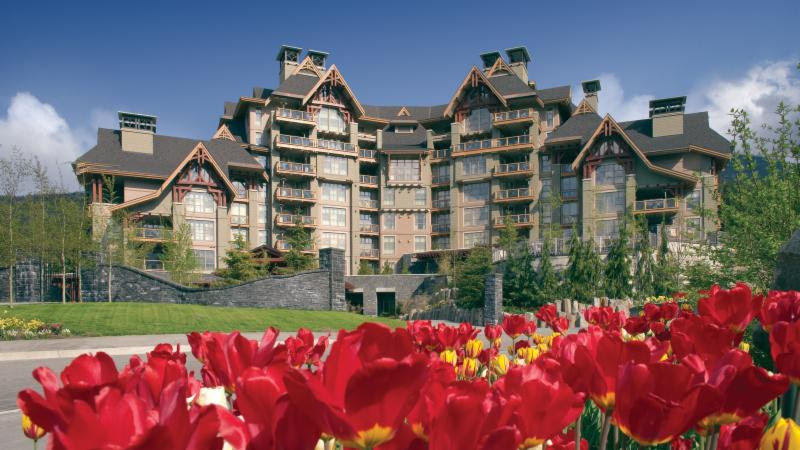 The Forbes Five Star ranked Four Seasons Resort Whistler invites guests to escape any city stresses and settle into the alpine sanctuary for three rejuvenating nights of fellowship, fitness and amazing food. Participants are also encouraged to mingle with the line up of inspired chefs including Four Seasons Whistler’s own Executive Chef Eren Guryel, teamed up with sustainable seafood celebrity chef Ned Bell, as well as an exciting Hawaiian one-two punch from chefs Edward Higgins and Justin Purpura from Four Seasons Resorts Hualai (Kona) and Wailea (Maui), respectively. 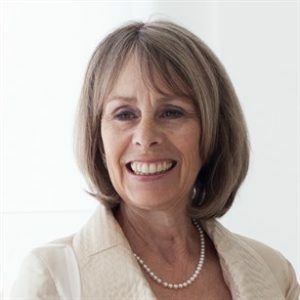 The event also invites guests to get to know one of Canada’s highly decorated Olympians. Olympic Gold medalist Kelsey Serwa earned her medal earlier this year in Ski Cross at the PyeongChang 2018 Olympic Winter Games. 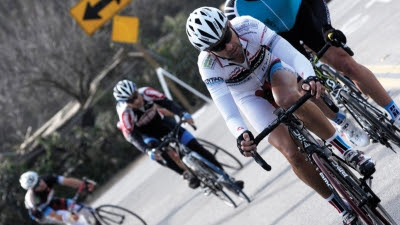 Kelsey will take part in the Bici Gusti events, mixing and mingling with guests throughout. Bici Gusti begins with a relaxed General Manager Reception at the Four Seasons Resort and Residences Whistler where guests will be treated to Executive Chef Eren Guryel’s SIDECUT Signatures and Lauren Mote’s freshly launched Spirit of the Mountains themed cocktails. 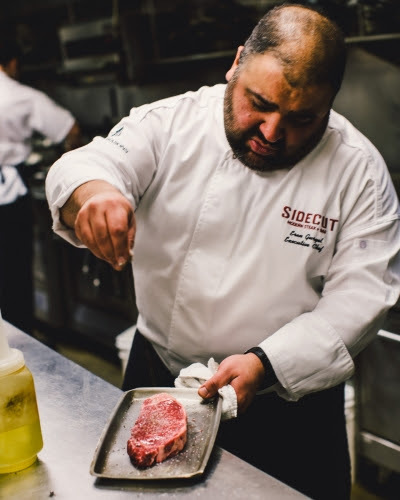 As one of Canada’s top steak experiences, SIDECUT offers premium cuts of steak perfectly seasoned and prepared with tasty sides and unforgettable sippers. Bici Gusti Gourmet Ride guests will cycle through 70 km of the most spectacular Whistler and Callaghan Valley scenery. The route has been carefully selected to allow all levels of riders to enjoy themselves and socialize. 35km into the course there is a gourmet rest-stop with charcuterie and Italian essentials. Post ride, cyclists will be greeted by beer from Red Truck Brewery and a barbeque at the Four Seasons Resort Whistler. In an evolution from the event’s previous “all-white” party theme to borrowing a page from the rosy-hued Giro d’Italia’s for a fun Cena in Rosa, guests can enjoy an afternoon rest before glamming up for the closing pink-themed gala dinner. Prepared by all our guest chefs, the gala dinner will highlight exceptional ingredients sourced from within 70km. Dessert could well be the highlight off the evening thanks to the Tiramisu Contest that will pit Hawaii against BC for an unlikely challenge. Guests will decide who made it best. Bici Gusti Gourmet Ride is the ultimate way to start the biking season and is designed for cyclists of all levels looking for an awe-inspiring gourmet food experience. This family oriented weekend features kid-friendly events as well as child-minding services available on-site. Guests are also invited to contact the award-winning Spa to add on a relaxing massage, body treatment, yoga or fitness class. Advance reservations recommended. Every dish Chef Eren Guryel prepares is influenced by the flavours, talent and experience he earned within the kitchens of Four Seasons Hotels and Resorts in Lanai, Shanghai, Boston, New York, Chicago, Austin and Tokyo. An expert at preparing premium cuts, gorgeous seafood and lean proteins, Guryel brings global sensibilities to hyper-local ingredients resulting in food that looks as great as it tastes. A big fan of Asian flavours, he loves adding depth of flavours to his steaks, salads and sides as the menu changes to reflect to the ingredients of each season. 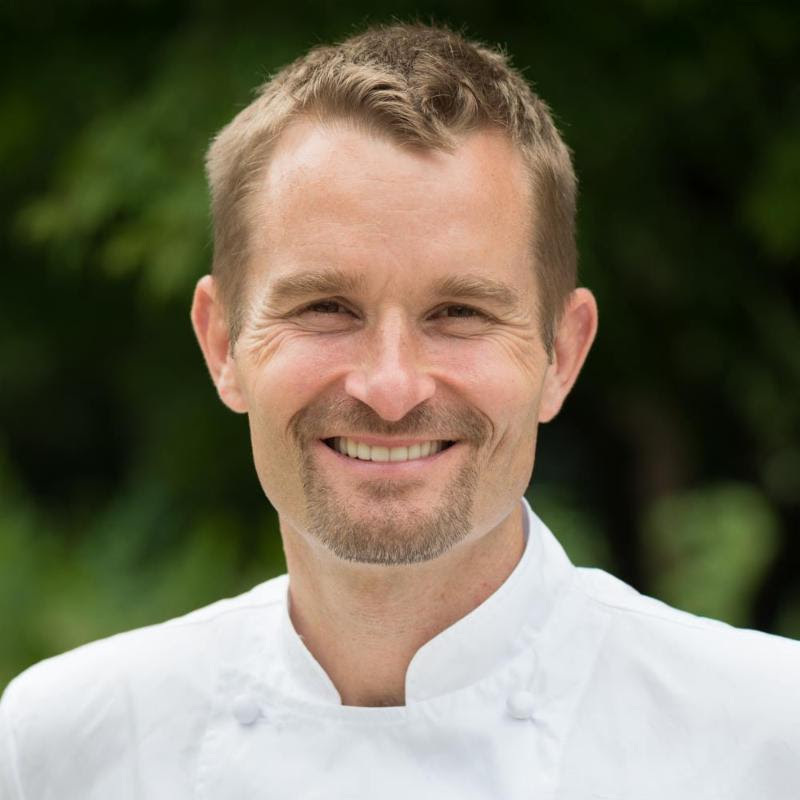 Chef Ned Bell is a popular Canadian chef, personality, founder of Chefs for Oceans, the Ocean Wise Executive Chef, and now author of the culinary best-seller, Lure: Sustainable Seafood Recipes from the West Coast. Bell is well known for his ability to excite, inspire and educate individuals looking to make a broader commitment to sustainable seafood. In September 2017, Bell was awarded the SeaWeb Seafood Champion for Advocacy Award for his advocacy through leadership, innovation, vision and activism – an award he was also nominated for in 2015. 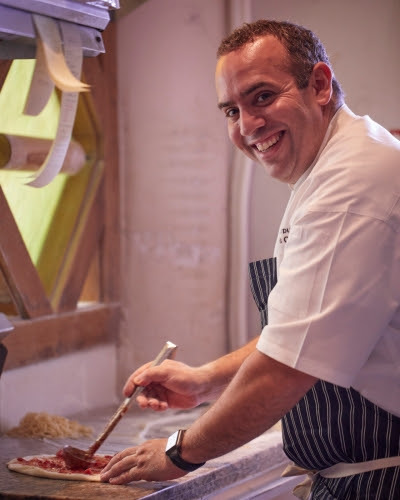 Chef Justin Purpura began his culinary career path with Four Seasons Hotels and Resort in 2004, at The Bristol restaurant in Boston, where he enjoyed developing his talents with classic Northeastern ingredients and seafood. Eager to stretch his culinary repertoire into other regions, Purpura took his career on the road. His journey took him to Las Vegas, Palm Beach and finally to Santa Barbara’s famed Coral Casino, where he was able to hone his craft under the mentorship of Italian Executive Chef Alessandro Cartumi. 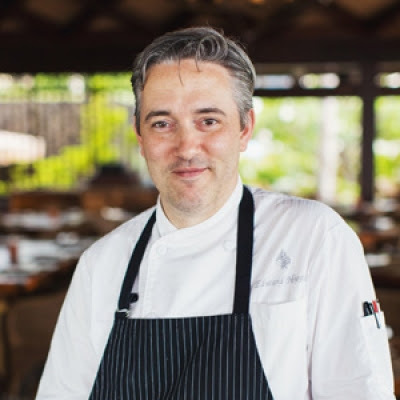 Chef Edward Higgins is currently the Chef de Cuisine of Beach Tree Restaurant and Bar at Four Seasons Resort Hualalai. Beach Tree features Mediterranean cuisine using the local, seasonal ingredients from throughout Hawaii. Higgins’s creative approach to food is ingredient driven and aims to showcase the bounty of produce, fish, and sustainably raised meat throughout the islands. He has encouraged the cultivation of several varieties throughout the Resort’s on-site gardens, allowing him to influence every step of the cooking process from seed to composed dish. Kelsey’s accomplishments in the sport of Ski Cross include 2018 Olympic Champion, 2014 Olympic Vice-Champion, 2011 World Champion, two-time X-Games Champion as well as eight-time World Cup winner. She demonstrated incredible determination and perseverance fighting from a succession of knee surgeries to stand on the Olympic podium at Sochi 2014 where she won silver behind teammate Marielle Thompson for Canada’s record third 1-2 finish of the Games. Kelsey grew up in Kelowna, B.C. where her grandfather was a co-founder of her local hill, Big White Ski Resort. As the world’s leading operator of luxury hotels, Four Seasons Hotels and Resorts currently manages 110 properties in 46 countries. For more information on Four Seasons Resort and Residences Whistler visit www.fourseasons.com/whistler or stay connected on Facebook, Twitter or Instagram. Press Release: Colley Communications Inc.